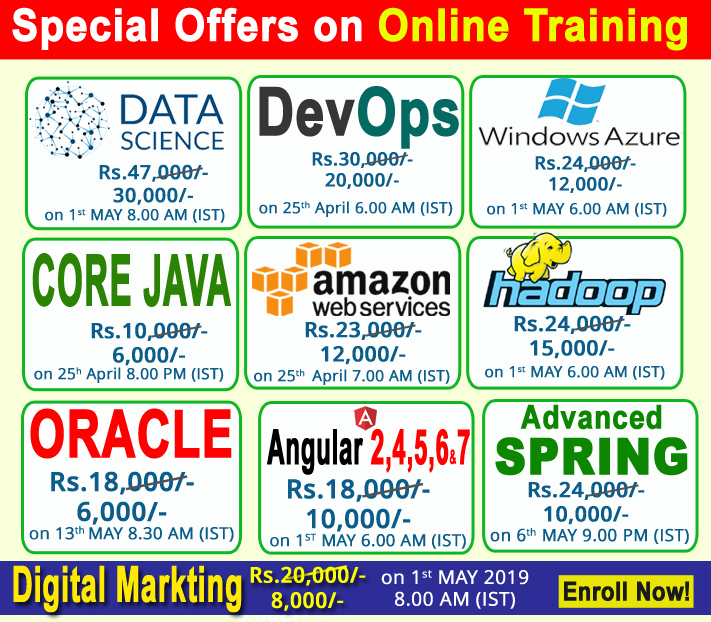 We are providing Online Training by Real-Time Expert Trainers with Industry oriented examples and practice programs. The Java is an Object Oriented Programming Language and it is Designed for Students and professionals to understand the basic concepts of Core Java and advanced Java. The topics are Variables, Operators, Arrays, Loops, Methods, and Frameworks Like Hibernate and Spring. Register now for live Online training demo session.